I began my summer by participating in week-long educational institute on “Mastering Genealogical Proof,” near Pittsburgh. All-day lectures followed with evening special sessions challenged me “to the max.” I had identified this session as one that I most needed on my road to professional certification. Getting to Pittsburgh was an adventure in itself! I knew that a one-day drive to Pittsburgh was not for me. 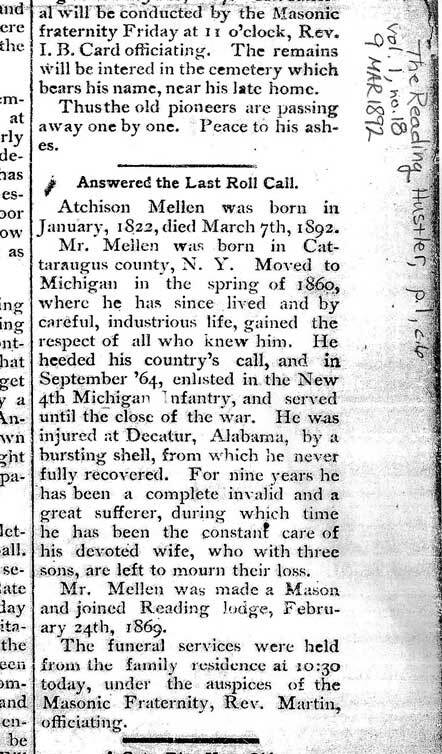 I chose to spend two days of digging and searching for more information on my great-great grandfather, Atchison Mellin. 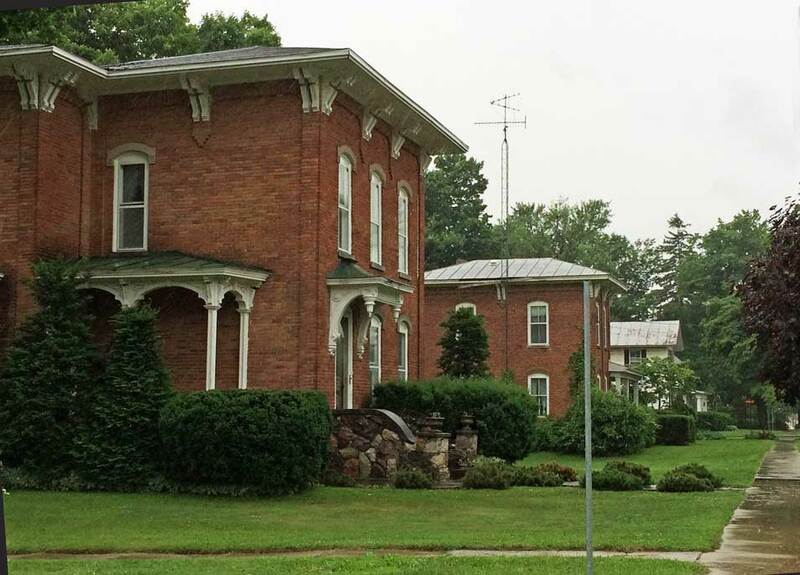 I spent a full day in a small, but wonderful research center in Hillsdale, Michigan: the Mitchell Research Center. 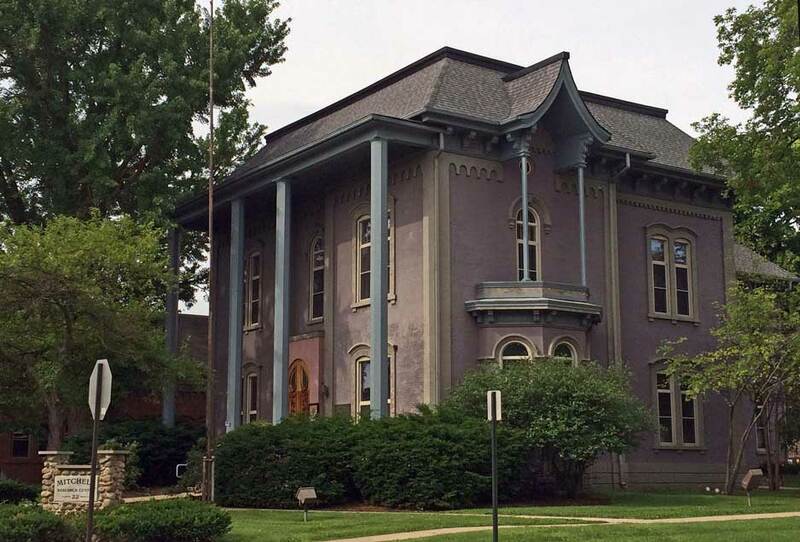 The center is housed in the Second Empire style home of the Charles T. Mitchell family, completed in 1869. It was a treat just to tour the building for a few minutes prior to my work. I was thrilled to be able to read the obituaries of my great-great grandparents in the former Reading Hustler Newspaper, available on microfilm in the center. On the second day, I drove into the town of Reading and wandered the streets to get a feel for the community. My timing was a bit off as remnants of a major storm/hurricane from the Gulf of Mexico had arrived in southeast Michigan…the strong winds and pouring down rain made it a very difficult day! As the rains began, so did my day in Reading. I walked in to the tiny library in the town center and asked what local/family history was available. Sadly, just a few shelves in one row held the total collection. I was offered a work table in the adjoining break room. The librarian showed me the way into the room where a young student, wearing earphones, was hard at work. The librarian apologized for the mess of boxes and old books stacked on the shelving which covered two of the walls. hmmmm?? I asked if I might be able to browse through them and she gave me permission. 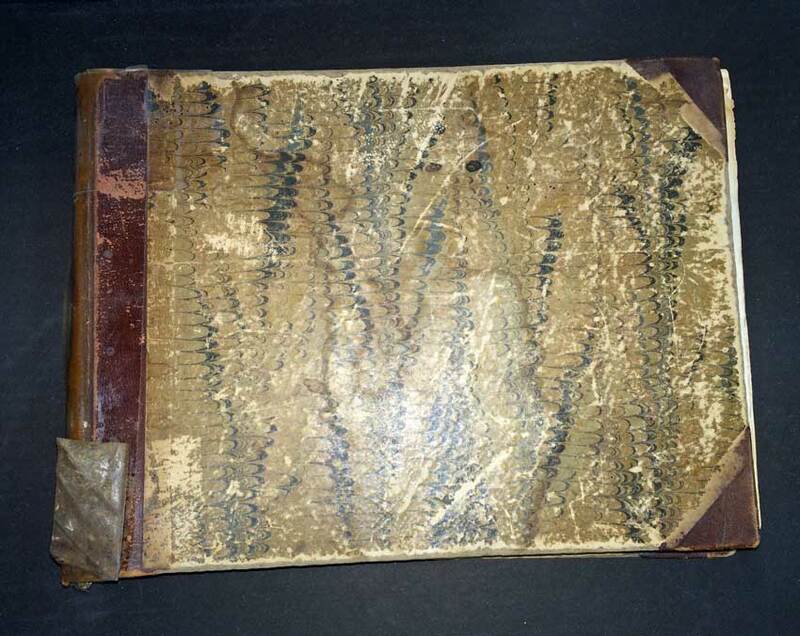 I identified a book that I wanted to explore; the old leather binding and the marbled liner-paper led me to believe that it was a contemporary of my great-great grandfather. My dust allergy was beginning to kick-in. 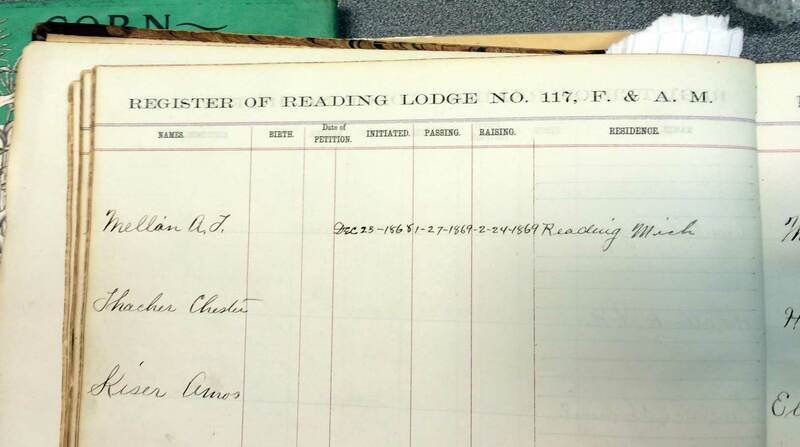 The book was a ledger of the local Masonic Lodge, naming Atchison Mellin and the dates of his ranking progress into the lodge, beginning with his initiation on 23 December 1868. All this, and my summer had just begun; here ends part one!